It is done! Ready for market and UL listed. My rep says I can order later this summer. I told him it would probably be more like fall. There are people waiting and pre-ordering which is good. I like to let them get the first ones anyway. I was disappointed a ways back when I found out the all in one would not have two HVMPPT's. I like them for tracked arrays. I can live with that though. I am happy they went with the less is more approach to programming like Schneider does with Mppt's. The FM series just had to many screens and choices that confuse the user. There is a link below that was not working yesterday. Pricing will be out soon and the beta and field electronics testing went well. Nice job Outback! Great but what is it?? Even Outbacks web page announcing the Skybox is vague, vague and vaguer. I gather it includes one HV charge controller and an inverter in one box, but not energy storage. 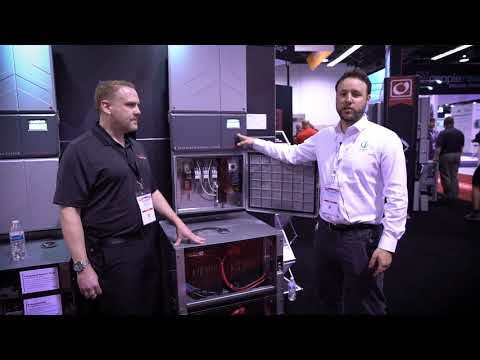 It appears to be a 5000 watt Radian based inverter/charger with a high voltage controller, probably 100 amp, and communications system built in to one unit. It is not a Radian! A new design Rick. A buddy is doing beta. All in one box and perfect size for many applications. It can have batteries or not which is a first! Interesting, I'll bet the price tag will be up around 6 or 7 grand. I think 6 would make sense but should hear soon. It really is not all in one box but rather two that join with 8 or so wires to connect like an XW. Pretty simple install and finally a high voltage mppt from Outback after 6 years of promises. I saw 2 of them stacked so there is a nice way to get 2 mppts and 10 KW of power. I think they picked 5KW as a reasonable power to balance a 5KW load center for split phase. The Radian 4KW had problems with this as does the CSW at Schneider. The Radian also is not supported for AC coupling and Skybox will be. The other thing is Skybox does not need a battery to work for grid aps. It can have one added but obviously, a battery is needed for offgrid. What about the Sol-Ark 8k? It is done! Ready for market and UL listed. My rep says I can order later this summer. I told him it would probably be more like fall. There are people waiting and pre-ordering which is good. Any details yet? Dimensions, max DC voltage in, battery voltage? Thanks for the update! From what I saw last year at SPI, it will have one MPPT channel - so more than one may be needed for systems that use different orientations or have different length strings. It will be interesting to see if multiple Skyboxes can share one battery. I'll have to stop by their booth at SPI this year and take another look. Any inverter that has a DC battery bus can have a charge controller added. 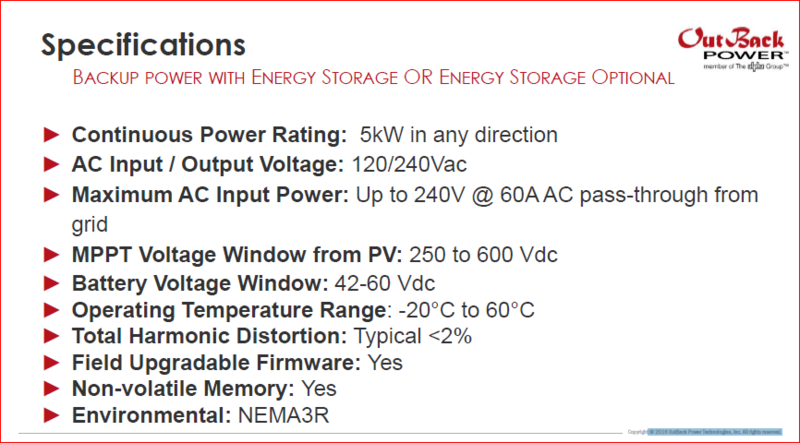 More than one inverter can also be on the same battery but you may lose the data sharing and some grid functionality. For offgrid, no matter what is said at a trade show, we know how to do it. Per the Outback booth at SPI they are now shipping the Skybox. I asked how many they've shipped so far and they wouldn't give me a number, but I asked "more than a dozen?" and he said yes. Thx Bill! Ouch on the price but it should come down. Interesting product! I am awaiting more details like a users manual or installation manual. I am comparing it with a Conext XW+ (5.5kW) along with a Conext 600 volt charge controller and the several other things you need for that system (eg: wiring boxes, SCP, ...) and they seem similar in price and capability. I am also comparing to a similarly equipped Conext SW 4048 system for a less capable and less expensive alternative. Evidently the Skybox would be an easier install, but otherwise I'd love to hear about these comparisons from people here who may have "insider" knowledge or experience with the Skybox or the Schneider equipment. FYI: I have 4 PV strings on my roof for 12.6kW total. They feed 3 SMA grid-tie inverters. So this is a retrofit situation in which I want to add a backup capability. I am planning to use AGM batteries such as the Concord Sun Xtenders, until perhaps LFP batteries become more affordable in a few years. I can access the string wiring easily to re-route it to a charge controller, but cannot easily rewire my panels for a lower voltage charge controller. I'd probably plan to re-route 1 or 2 of my strings. The others would remain useless during an outage. Two of my strings are nearly identical (10 panels, 3kW, oriented identically) so they could be paralleled I think. This is apparently an exact match to the capabilities of the Skybox, and probably the Conext 600 volt charge controller. I just priced one out with a client. At this time the XW+ including all items in a Skybox is a clear winner with several advantages and about $1K US less expensive. Not much more work to hang an XW+ with a mostly pre-assembled mini PDP and a 600 v controller. Do not get me wrong because I will use the Skybox for some Outback systems where the client does not want to learn a new system. Probably in 6 months or so after the early field reports are in and after the electronic field testing is more mature. 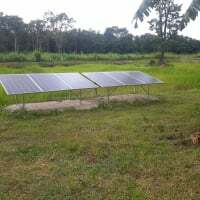 @ewb said am planning to use AGM batteries such as the Concord Sun Xtenders, until perhaps LFP batteries become more affordable in a few years. I'm not an "insider" but from my user's point of view our off grid Schneider's XW+ equipment has been performing well. Thanks for the responses. I guess I'll just wait for more technical details if/when manuals are released. Just found this video on Youtube. I have been on a waitlist for a Tesla Powerwall for a year and still no estimate of install time. I have just ordered a Skybox and plan on powering it with some Nissan Leaf battery modules I had from another project. If the Skybox gets delivered soon I will cancel the Powerwall order. I will give up the California Self Generation Rebate Incentive Payment on the Powerwall but will then be able to program the Skybox to load shift and arbitrage with more flexibility than I would have under the SGIP. In addition, since I can obtain more Leaf Modules at $200 per kiloWatthour I can incrementally increase my capacity based on my needs as they evolve. 5 weeks waiting list and drop shipped from Outback at this time. I do not think it is California rule 21 compliant at this time because Schneider/and I are still field testing at this point. They both seem to be at the same points on new devices. The Schneider system has wifi in/out which I think is the requirement to be a "smart inverter"
It should not be a problem to add firmware to Skybox but I wonder how they will allow access to meet California rule 21? Are the Leaf modules by LG ampster? Thanks for the input on lead time. I just ordered it last night online at the NAWS site. I guess I will have to confirm where I am on the list. The Leaf modules are manufactured by Nissan. They consist of 4 pouch cells in a sardine can in a 2P2S configuration so each module is 8 volts. There is a center tap so you can measure each 2P cell arrangement and attach BMS cables for balancing. I originally found an entire pack for $1500 which was $62 per kiloWatt. I still have about 35 modules left from the original 48 modules in that pack (24kWhrs) I am using some of those in a GEM car and the remaining ones I will put together in series (7 modules) for a 56 volt pack. They are a little degraded but for a stationary pack I can still get 60 percent cycle out of them. I believe Phase 1 of Rule 21 (the one that's in place now) does not require communications - just the grid support functionality. Phase 3 definitely does. Thanks, that is good to know. Initially I wont need the communications functionality. As the grid catches up with what the legislators have required I am sure Outback will make that available. I look forward to the day when the grid sends me a signal that rates are cheap and my cars start charging or my heat pump water heater stores more heat. More importantly I hope AC Coupling becomes available sooner than later. That way I can have the benefit if utilizing my existing grid tie inverter to extend the time I can live without the grid and get me through the power outages that PG&E is sending my way. The hardware does need to be in the box to get to phase 3 so keep that in mind. Sometimes there is only so much a firmware upgrade will do. The XW Pro is being tested to phase 3 BTW. Why would you AC couple with the Radian????? Rewire it ! 1) There are companies that do that now. Google OhmConnect. Yeah, I was on Ohm Connect when I was load shifting with my earlier Radian. Every time an Ohm hour was announced was when my house loads were being run by the Radian so there wasn't any further loads to drop. I did read about some guys that gamed the system and made some good money, but they were paying peak rates for weeks to get their averages up so when an Ohm hour came they could drop a lot of load. That seemed sub optimal to me. I had solar at that location and in the summer, by shifting loads almost all my solar production was getting credited at $0.47 per kWh. As far as AC coupling is concerned I gave up on the Radian being able to do that so when I rented that house out I sold the Radian and stored the batteries. When we bought the house in Sonoma I installed solar and ordered a Tesla Powerwall because I knew it could AC couple and it had a robust TOU program. The net cost after California SGIP incentives and tax credits was going to be about $4k. A year later I am still waiting for the Powerwall. Recently, after reading the initial reports on the Skybox I started thinking about how much I enjoyed setting up the Radian and not being confined by the rules around the tax credit and SGIP rules. The other thing I mentioned earlier is that I can incrementally add battery capacity to the Skybox at around $200 per kWh so as I become more familiar with my seasonal loads I can continue to add capacity. In this house I am on NEM 2.0 and it pisses me off that I have to pay Non Bypassable Charges even though they are only a couple cents per kWh. I am retired and this has become a hobby for me. I call it a hobby because I can rationalize some of the expenditure without having to explain the low ROI or long payback. We are in PG & E territory and could easily see some grid shutdowns because of high winds or just plain old grid reliability problems. So that is my story and why I am looking at a Skybox. I have learned a lot over the years from this and other forums. @Dave Angelini, I didn't want to further hijack the "Home Power Magazine" thread since my followup question is related to the Skybox working with the LG Chem 48v battery. I listened to the first Webinar and Bo Magluyan said they had tested the 48V LG Chem battery and the communication with the BMS. I didn't get a chance to listen to the second Skybox Webinar. Did he back down from that statement? My webinar was with my supplier, and I do not remember the name, but could. They are better than the company offerings in that there are people like me who sell/install the solutions, rather than casual lurkers. 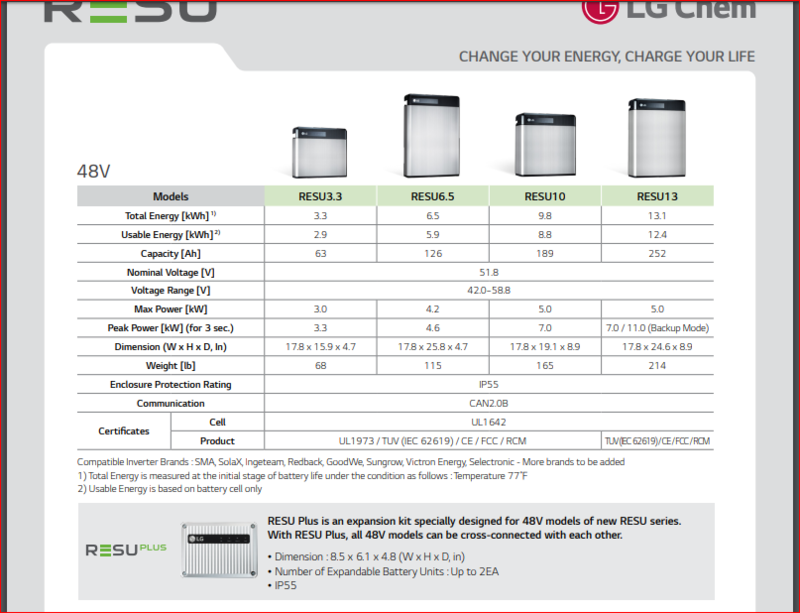 I do have an email relationship with LG Chem north american sales and as of 2 weeks ago, "none of the suppliers on the LG Resu website are importing the 48 volt solutions into NA." It is also not a matter of just importing as LG wants 6 months of Inverter testing to be certified. LG blew the 48v design and it could have been fixed by limiting the certs to the RESU 10's and up and only the XW+5548 and CSW 4048. The XW+ 6848 will start a short circuit so I can see the problem. It came out is 2005 and still is the largest inverter out there. A Radian is (2) 4 kw's. Schneider did limit 6848 and made it work thru Bridge. I tested that for that. The Victrons and the other one I can't remember were causing warranty probs and LG just could not figure the basics out. I think they see grid tie as safer as the cycling is alot less. Although in my opinion, most grid people would take it down to lights out. 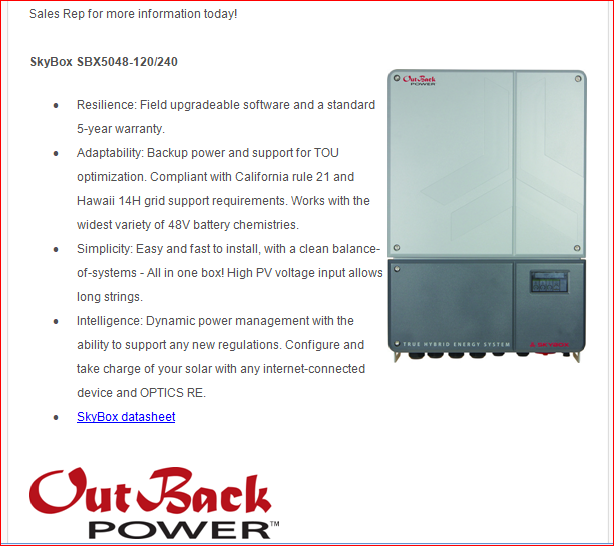 It looks like Outback (owned by Alpha) has been sold to Enersys, who has been supplying the Outback-branded batteries for years.